Although life throws its thorns at our feet sometimes, all wounds will heal eventually and the days will grow a little brighter if we let them. Even the smallest, simplest things can give us that lift when we need it most. A feature and a birthday!! Also... happy birthday to :iconpulvis:! I wish you all the best & may all your dreams come true! Show her some love plz she is a great person with crazy art skills! aaand go add some new favorites + show some love to those amazing artists! First appearing in the short story "The Call of Cthulhu" when it was published in Weird Tales in 1928, Cthulhu is one of the central Great Old Ones of the Lovecraft Mythos. It is often cited for the extreme descriptions given of its hideous appearance, its gargantuan size, and the abject terror that it evokes. 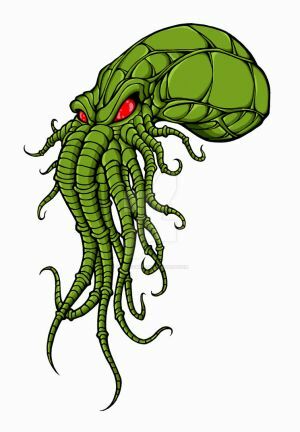 Cthulhu is often referred to in science fiction and fantasy circles as a tongue-in-cheek shorthand for extreme horror. Font: Wikipedia. For more about it, please read: http://en.wikipedia.org/wiki/Cthulhu . This is the seventh month in the series that features all of the Artisan Crafts Daily Deviations from the previous month. In addition to each Daily Deviation will be the DD description that went with it, which sub-gallery it is located in, and the name of the suggester. I hope you enjoy this series! Hand-painted with many Greek Gods, including Helios, Boreas, and Poseidon, using only three colors of gouaches. Artisans bringing fan art alive! Featuring everything you could possibly want to be or want to have! Part 2 of a new fan art series from the Artisan Crafts gallery featuring costumemakers, plushiemakers, dollmakers, fiber artists, woodworkers, metalworkers, and more. "Put 'em together and what have you got? Unfortunately, now i havеn't enough time and i can't answer all comments and questions. In this journal entry i will try to answer the most popular questions. If you have questions please don't write notes\comments here, write me e-mail! 1. ARE THESE DOLLS FOR SALE? Yes, i sell my dolls. Some groups or series of toys can be duplicated. 2. HOW CAN I BUY ОNE OF THEM? HOW MUCH DO THEY COST? 3. DO YOU SHIP YOUR DOLLS? Yes, i do. i use express mail EMS. I ship my dolls worldwide. 4. WHEN YOU STАRT SELLING DOLLS USING EBAY OR ETSY? Now i have a lot of pre-orders to make. As soon as i have a little free time, i will make an ETSY or EBAY account, so it will be easier fоr Yоu to order. 5. CAN YOU MAKE A TUTORIAL? I аm sorry, but i don't make tutorials. 6. WHAT MATERIALS DO YOU USE TO MAKE DOLLS? DO YOU USE REАL FUR? I use different types of doll plastic like fimo, cernit, sculpey, sonet. I use fabric fur. Thank You for Your time! Have a nice day!